DSpeech is a TTS (Text To Speech) program with functionality of ASR (Automatic Speech Recognition) integrated. 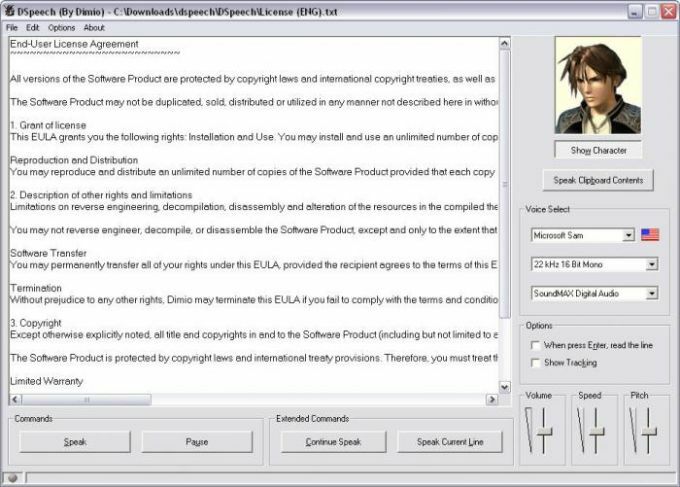 It is able to to read aloud the written text and choose the sentences to be pronounced upon the vocal answers of the user. Save the output as a Wav or Mp3 file. What do you think about DSpeech? Do you recommend it? Why?